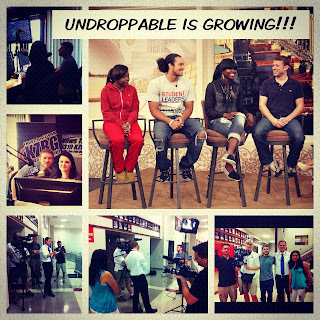 Community College Success: Are you undroppable? Cynthia is a high school student who has overcome great odds – a father arrested, a teen pregnancy – to graduate high school. Today she is at community college, and she is one of the students who has inspired Jason Pollock to create the social media campaign and upcoming documentary Undroppable, of which Cynthia’s video is a part. I recently spoke with Jason about his involvement with this project and what he’s learned after interviewing hundreds of high school students, in some of the most impoverished areas in the country. Jason got his start in filmmaking as an assistant to Michael Moore, working on famous films such as Farenheit 9/11, and has always had a passion for showing young people what they can accomplish, as he did with his first documentary The Youngest Candidate. What did you learn from interviewing so many high school kids who are struggling? “I’ve interviewed hundreds of kids in America in the most impoverished areas; all of the testimonials online are just a fraction. I’ve sat with students for weeks at a time and really just cried with them. Kids that grow up with poverty have so many more obstacles than people realize. “What I’ve learned the most is that there’s always different issues in education, but the big issue is poverty, and it affects kids in all these different ways. Poverty and the fact that their lives are so hard because of poverty and all that goes with it. When Jason said “my kids” I smiled in recognition, because it’s something I started saying a few months into my job when I was a Student Life Coordinator. I could tell and feel in Jason’s voice that these kids are so much more than a documentary to him. They have affected and inspired him, and it’s obviously that, like me, he sees these kinds of kids, who continue to strive for better and succeed in education, as heroes. 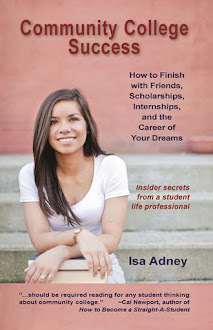 I noticed a lot of the students you interviewed in the beginning are now in community college. How do you think community colleges fit into breaking this cycle of poverty? “Community colleges are integral in this process to fixing the dropout rate. Community college is where every kid goes who can’t afford to go to a university. Every kid in poverty goes to community college unless they get a big scholarship, and that’s rare. But if you do well in community college after two years you can transfer to basically any college in the country! Community college is a big part of closing the opportunity gap and helping any student be able to get anywhere. What do you see in the students who are undroppable, who are continuing high school and going on to college despite the odds? In my experience and in my book I talk about having support from a community being one of the most defining factors in success; have you seen that in any of these students? “Yes! Most of the undroppable kids that I met had at least one person at home who is amazing, and it was never a surprise to me to talk to the student and then meet the amazing parent. Shawndtrana’s video beautifully explains how her community helped her not break. What advice do you have for students who are struggling to finish their education and are feeling like they are about to break? “You’re just as smart as everyone else. I’ve met kids from all socioeconomic backgrounds, and kids that come from poor backgrounds are just as smart as everyone else, and if they work hard in school they can do anything anyone else does. The full-length documentary will premiere Fall 2013, but this week Jason will launch a tour to show pieces of the film to high schools across the country in order to begin the conversation and show struggling students two simple things – that they are not alone and that they can be undroppable. To me, undroppable means realizing that no matter what you’ve been through, only you get to decide whether you’re a statistic or a success. Wherever you are in your educational journey, I encourage you to check out the Undroppable YouTube videos as a reminder, as they were to me, of what it means to rise above, to try, and to keep going no matter what. A montage of Jason in action, filming the documentary. The SKiNNY premiere on college engagement!